could not reach a decision for the accused shooter in the case, a court official said. While David McNeal, 17, was found guilty of murder during an attempted carjacking for the death of 34-year-old Quinn Boyer, the jury deadlocked 7-5 on a murder charge for his 18-year-old co-defendant Christian Burton. Judge C. Don Clay declared a mistrial in Burton's case. Sentencing for McNeal was scheduled for December. Burton and McNeal were allegedly among six teens who went on a robbery and carjacking spree in Oakland on April 2, 2013. The teens were all between 13 and 16 years old. Burton was 16 and McNeal was 15 at the time of the shooting. Prosecutor Glenn Kim said during the trial that the crime spree began when the teens stole a gold Dodge Intrepid from a man outside a store on High Street in East Oakland. Deciding the Intrepid was too cramped, they decided to steal another car. 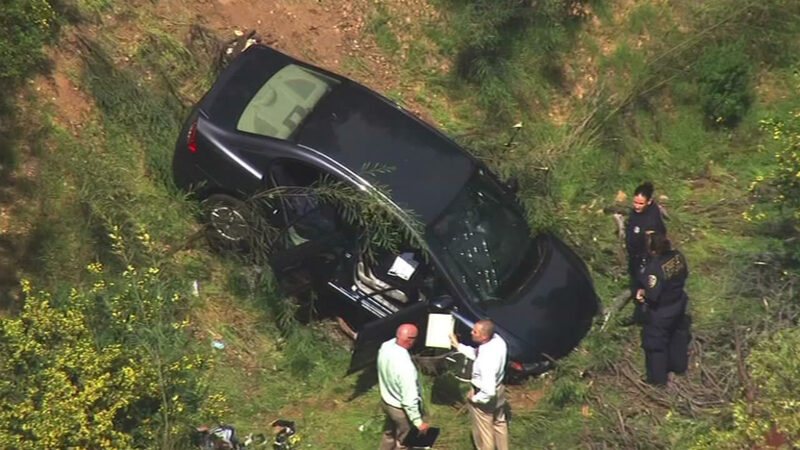 About an hour later they saw Boyer pulled over on the side of Keller Avenue near Skyline Boulevard. They pulled up behind Boyer and two teens - identified by prosecutors as Burton and Nazhee Flowers - got out of the car, approached Boyer and, according to Kim, Burton shot him in the head. Boyer was taken to a hospital but died two days later. In a videotaped interview with Oakland police that was played during the trial, Burton admitted that he shot Boyer but said it was an accident and he didn't think the gun was loaded. Burton's attorney, Ernie Castillo, argued that it was actually Flowers who fired the fatal shot. Castillo said today that not only was it unclear whether Burton killed Boyer, there was evidence he wasn't even in the car with the other teens at the time. Video surveillance captured the earlier carjacking, but the video doesn't show Burton get into the car with the others. A witness description of Boyer's shooter matched Flowers, not Burton, Castillo said. Flowers previously pleaded guilty to carjacking and was sentenced to a 15-year prison sentence. The other three teens pleaded guilty to first-degree murder in juvenile court. "I think the jury's decision regarding Christian Burton sends a loud message to DA's office that they made a mistake," Castillo said. "The person I've accused of being the shooter got away with murder." Since the other defendants in the case where charged in juvenile court and should be out of custody by the time they're 25, Castillo said he's hoping prosecutors send Burton's case back to juvenile court. But according to the video evidence, there was no question that McNeal was in the car with the other teens - leading prosecutors to charge him with murder, either by aiding and abetting or as a co-conspirator, Castillo said. In addition to the murder charge, McNeal was convicted of robbery and assault charges for an incident the next day when he shot a 13-year-old in the hip and stole his hat.